Athens Mayor George Kaminis has been attacked by local authority workers protesting against job cuts tied to Greece's financial bailout. Mayor Kaminis was “physically attacked" on Sunday by suspected union workers protesting job cuts, his office announced, according to AFP. 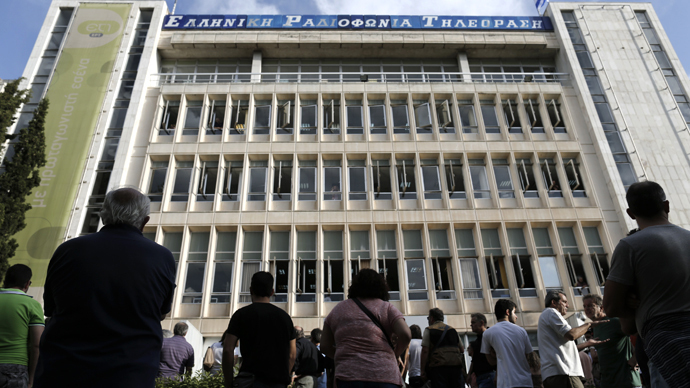 The incident happened as the mayor was leaving a Confederation of Greek Municipalities (KEDE) meeting, where he held discussions about the austerity measures and the way they affect thousands of municipal employees. According to reports, he was struck by unionists representing municipal workers outside the building. Kaminis was checked in to hospital where he was treated for minor injuries. 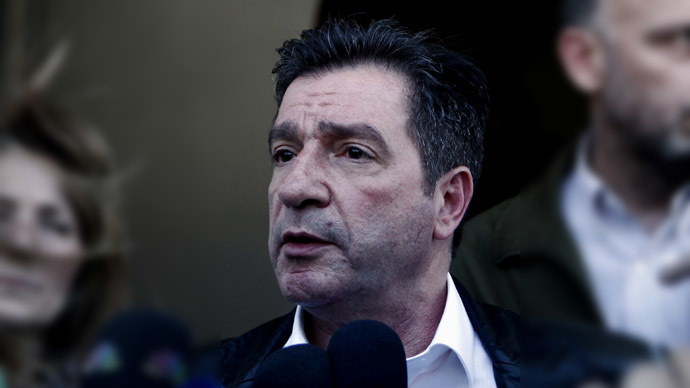 After being discharged, Kaminis issued a statement blaming POE-OTA union and its leader, Themis Balasopoulos, for the assault. 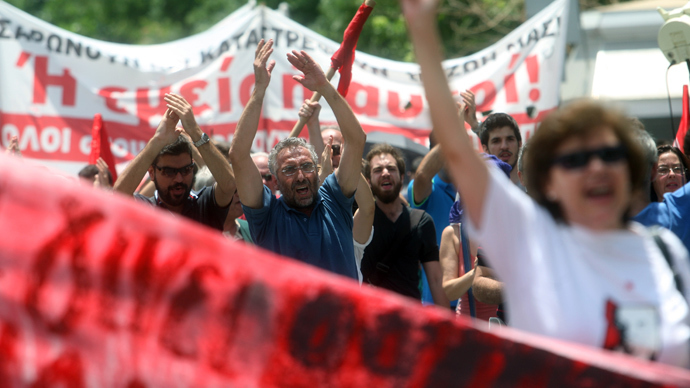 “By targeting the mayor of Athens, who has spoken clearly on all issues, the POE-OTA president is trying to cover up his longstanding embroilment in the clientelistic system in local government,” the mayor’s office said, accusing Balasopoulos of leading union members “down a dangerous road”, local papers reported. In turned POE-OTA condemned the attack blaming provocateurs for the incident, saying it was “damaging for the just fight of local authority workers”. KEDE has also spoken out against the assault. "The Board of KEDE strongly condemns the fascist and unacceptable attack against the Mayor,” the confederations said in a statement. 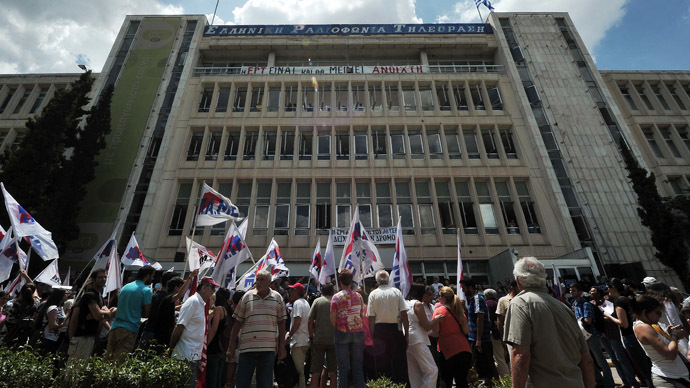 Municipal employees are scheduled to protest in Athens on Monday against the government’s decision to implement a labor mobility scheme which would mean either transferring employees to different departments or cancelling their contracts. Some 25,000 civil servants must be transferred by the end of the year and another 4,000 made redundant to gain access to the Troika’s 8.1 billion euros bailout funds. Eurozone finance ministers will meet Monday to discuss further authorization of funds conditional on Greece being on track with its reform process.